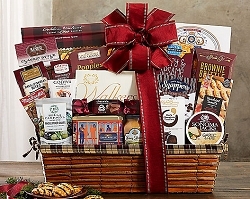 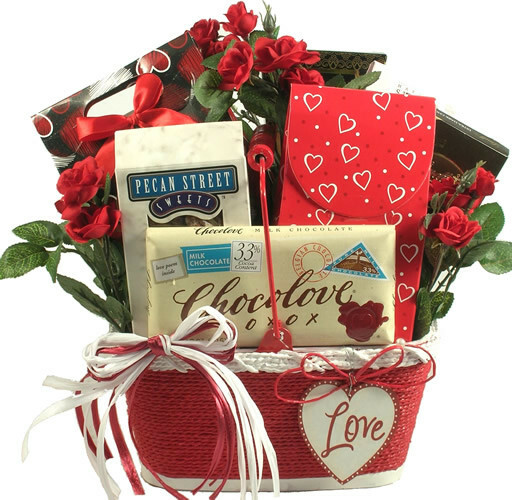 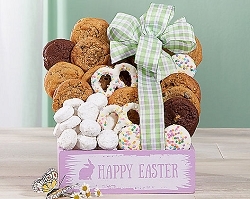 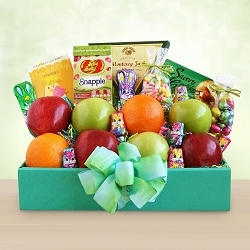 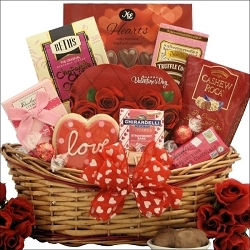 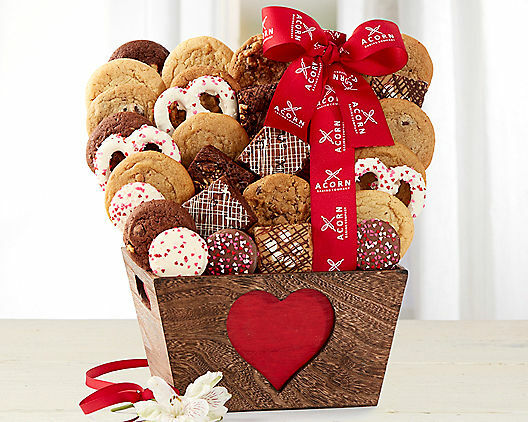 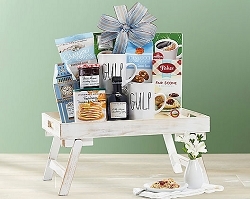 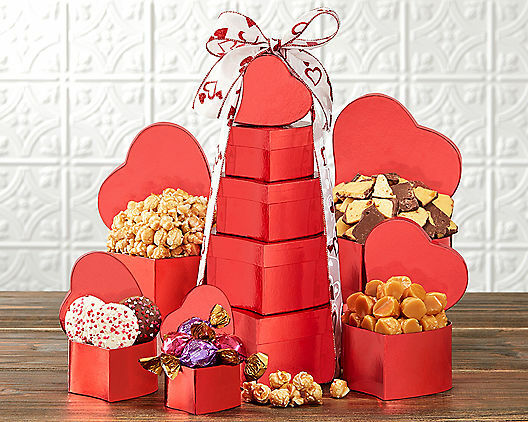 Send this adorable Valentine's Day gift basket loaded with charm as well as delicious gourmet sweets! 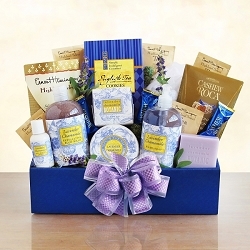 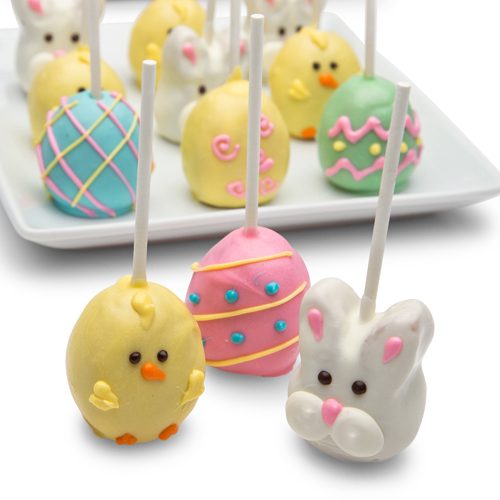 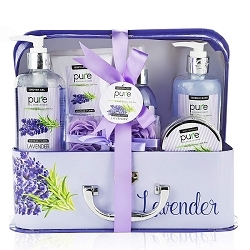 It is one of our very popular gift! 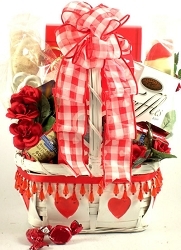 This exquisite gift basket features a unique red and white basket with a "Love" decal that arrives filled with a "Chocolove" Milk Chocolate "Love Letter" with a love poem, a heart tote filled with assorted Valentine's Truffles and Chocolate Hearts, a Valentine tote filled with Sweet Vanilla Crunch Mix, Key Lime Truffles, Gourmet Truffle Bar and Chocolate covered Almonds!